HOUSTON (KTRK) -- Houston Texans cornerback Kevin Johnson is out indefinitely with broken foot. Johnson broke his foot against the Indianapolis Colts on Sunday night, and received X-rays after the game. It is a big loss for the Texans defense as their secondary is already banged up. Kareem Jackson and Quinton Demps are nursing injuries, while Johnathan Joseph has been playing with an injured elbow. Johnson played all but one play last night, and had 10 tackles. 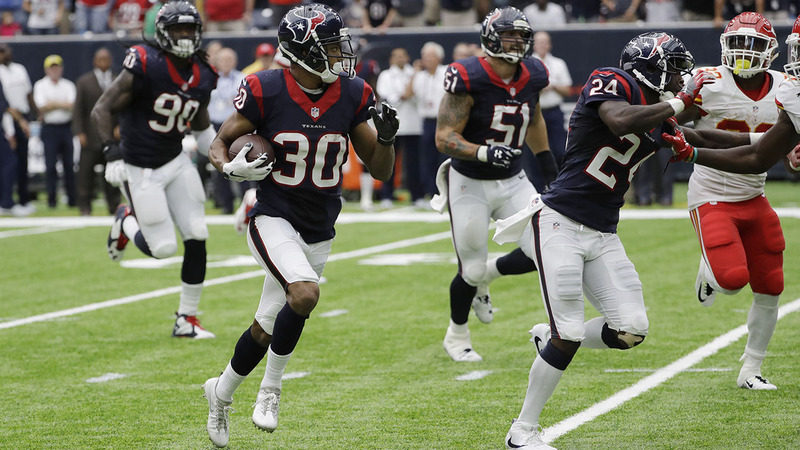 The Texans dramatically erased a 14-point fourth quarter deficit to the Colts to win in overtime. Last season, Johnson broke the same foot, which required surgery.